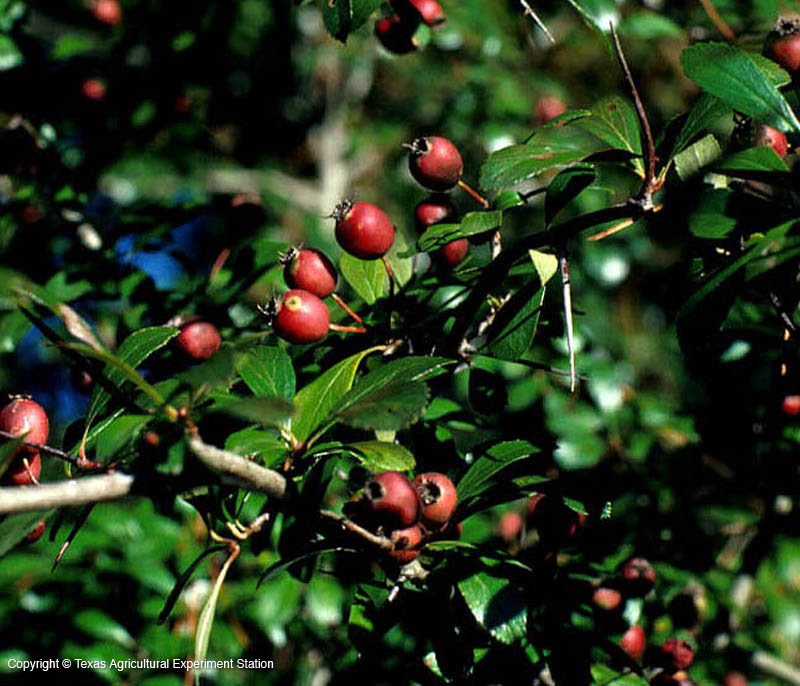 Littlehip hawthorn is a large shrub or small tree that is the most prevalent hawthorn in east Texas, where it occurs in open pasturelands on almost any soil type. It resembles parsley hawthorne, although its leaves are not as deeply lobed and they taper sharply at the petiole. Its bright red fruit ripens in September.